Mention Napa Valley, 'oohs' and 'aahs' fill the room. One of the most picturesque destinations in the country, you'll witness rolling hills with brilliant hues of green, red and purple. Vibrant vines can be seen all around, enticing you everywhere you go. 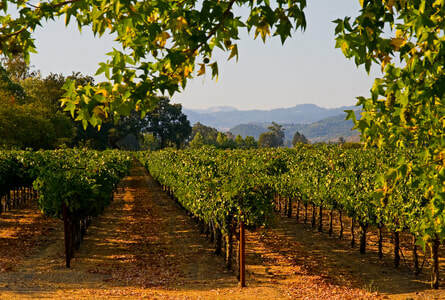 Napa Valley is known as one of the premier wine producers in the world. Unique world class wines, with beautiful scenery, competing with wines from France and Italy. That is why this would be the perfect destination for your wine tour party! ​This is the perfect couples outing or girl’s night out. What a great way to spend some quality fun time with your friends. You don’t have to worry about anything. We'll take care of everything. 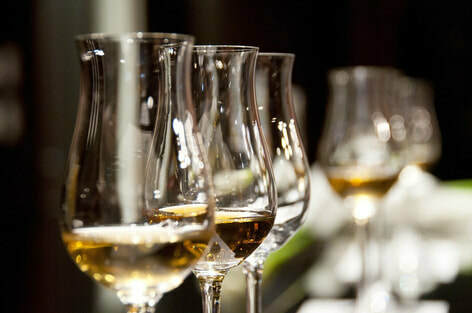 After a long week at the office, you deserve to sit back in one of ​our luxurious limousines and enjoy sampling some of the best wines in the world. We guarantee this would be a once in a lifetime experience. It would forever be an interesting conversation starter. Whether you're hanging out with friends or enjoying a romantic evening with that special someone, you are sure to cherish this time together. It doesn’t matter whether you are a wine connoisseur or not. You got to love wine tours. They have everything a vacation should be made of. Open spaces, natural beauty and most importantly, interesting wines. What if we told you that we can take you on a joyride of a wine tour through the premiere Napa Valley? What can top that? Well, how about a Napa Valley wine tour in a limousine. Sounds fun right! There cannot be a better transport to a winery than a luxurious limousine from San Francisco Party bus and Limo. Napa Valley is indeed an exquisite destination to visit. It is downright beautiful with different hues of leaves covering its landscape. With over 300 wineries in the region, there is no particular season that you cannot visit the picturesque location. It is open all year round and visitors never get tired of the abundance of natural beauty in the region. In any given year, Napa Valley welcomes more than 4 million visitors. If you live in San Francisco, it is criminal not to visit Napa Valley and if you are travelling, just find some window in the itinerary to make the trip. Also, make sure that you book a wine tour with one of the best in the city. San Francisco Party bus and Limo offers a wide array of options to help you plan the perfect trip to the vine country. You can give us a call and book a tour with us anytime. Our executives will be more than happy to inform you about the fleet of cars that we have and the wineries that we cover. You can choose any number of people to accompany you to the serene locale. This is going to be a particularly great romantic adventure. We take bookings for wine tours all year long. But it is advisable that make reservations well in advance to avoid any disappointment. Wine tours are a major attraction among tourists and there is a chance that we will be all sold out, if you call us at the last minute. The vehicles in our fleet are well-maintained and fully insured. The cars that we send to our clients are in top condition and work smoothly. We have a large number of options when it comes to the choice of limos. We have something for every budget and needs. We have built our reputation by offering great value to our customers and by delivering highly reliable services. We can proudly say that we are in the business of providing affordable luxury to our clients. Our drivers will come and pick you up at any location in the city from your hotel or home. We can also make any number of pickups to bring or drop off your tour party. Our drivers are the best. They are nice, accredited and are easily recognizable in their sleek uniforms. They dress sharply and make you feel cared for. From opening doors to driving flawlessly and tending to all your requests, they are going to leave you impressed. When our drivers come to pick you up in the shimmering limousine, you will know that it is the start of a special day. Mid-morning is a good time to leave for the Napa Valley from San Francisco as there is less traffic on the road. It will take you about one and a half hours to reach there after leaving the city. However, if you are planning to leave in the afternoon or later, be prepared to spare an hour in the city’s traffic. We can stock the mini bar on the limo with anything you need to drink or eat. We can also play the music of your choice, if you inform us in advance. Our drivers can entertain requests to connect your iPod to the limo’s music system as well. We will take you through the most picturesque route to the Napa Valley. When we are closing in, you will be able to see vines of grapes all around and it will set you in a relaxed mood instantly. A trip to Napa Valley is a great idea for a romantic getaway or if you are looking to throw a classy girls’ night out. Once we arrive in the Wine Country, we will take you from one winery to another and get you started on the fun. We will take you to the absolute best. There are different family-run businesses that arrange special tours and tastings for the visitors. We know everything there is to know about Napa and we can promise you that when we take you there, you will be drinking some of the finest wines they have to offer. Many wineries offer seasonal flavors and there are cheese tastings too. We will take you from little jewels tucked away in the Valley to well-known large businesses. You can eat, drink and merry along, with a designated driver always waiting to show you around. You can also opt for lunches and dinners in the lap of nature. You are going to remember this meal. There is nothing like it. What better place can you find to revive your romance, have a heartfelt chat with your friends, or just sit back and relax away from the noise of city life. 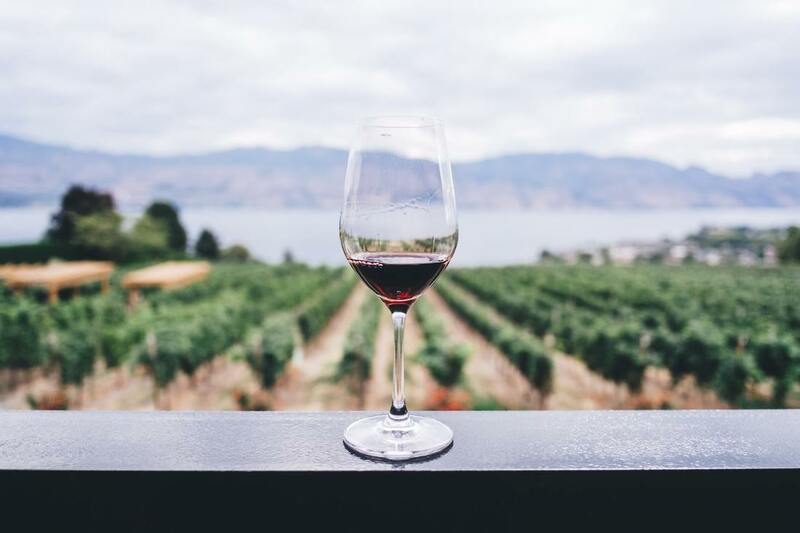 Other than anything else, you will be able to savor a glass of wine in one of the most beautiful places of the country. A Napa Valley Wine tour in a chauffeur-driven limousine - there are not many things that can get classier and more luxurious than this. So, the next time you are in San Francisco and thinking about what is it that you can possibly do, give us a call, and we will turn your day into a memorable adventure. Our executives are available round the clock to help you plan a Napa Valley Wine tour from San Francisco. So, call us today and treat yourself to a day full of luxury, fun, frolic and friends. It really does not get any better than that.